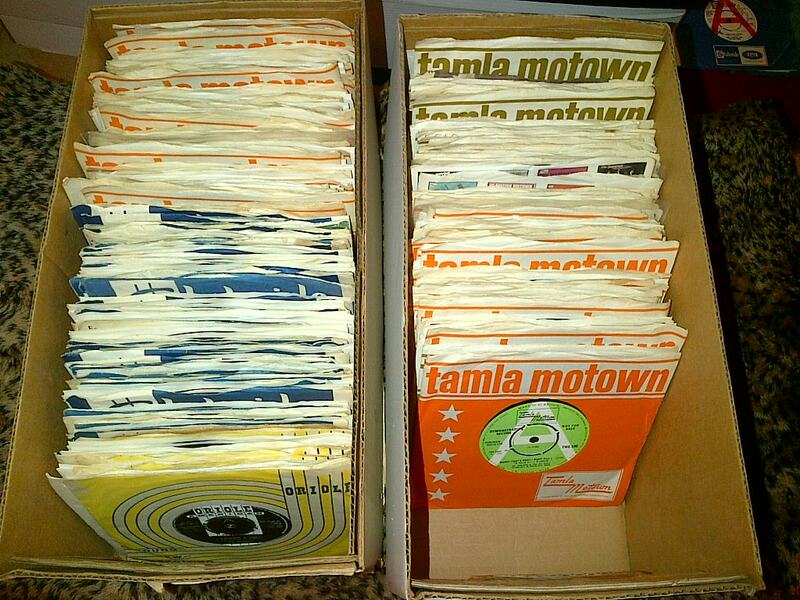 Seems I’ve heard the first white act of Motown claim many times. History dictates though that The Valadiers indeed take home that honor, if you can call it that. You’d have to look pretty hard to find a more hated release amongst the diehards that follow all things Motown. 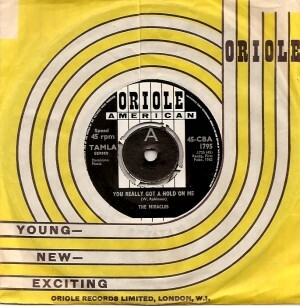 One of their biggest gripes focuses on the single’s UK release via Oriole, Britain’s first ever record company, which by the mid 60′s was the Detroit label’s exclusive outlet. 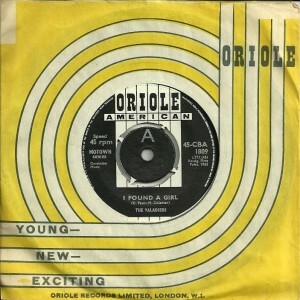 Seems there were many terribly more deserving records that didn’t luck into a UK release, and given the dated doo woo pop of ‘I Found A Girl’, this just drove the devoted bonkers. The hate still spews on some hard corp Motown blogs. I always kind of liked this though. Never did experience doo woo first time through, way too young if even born, and have never been interested enough to figure that out. Closest I come is Ruben & The Jets first album, where Frank Zappa, as on several songs by The Mothers Of Invention, does a spotless send up. So quite possibly my references for comparison are titled terribly in the wrong direction. Whatever. 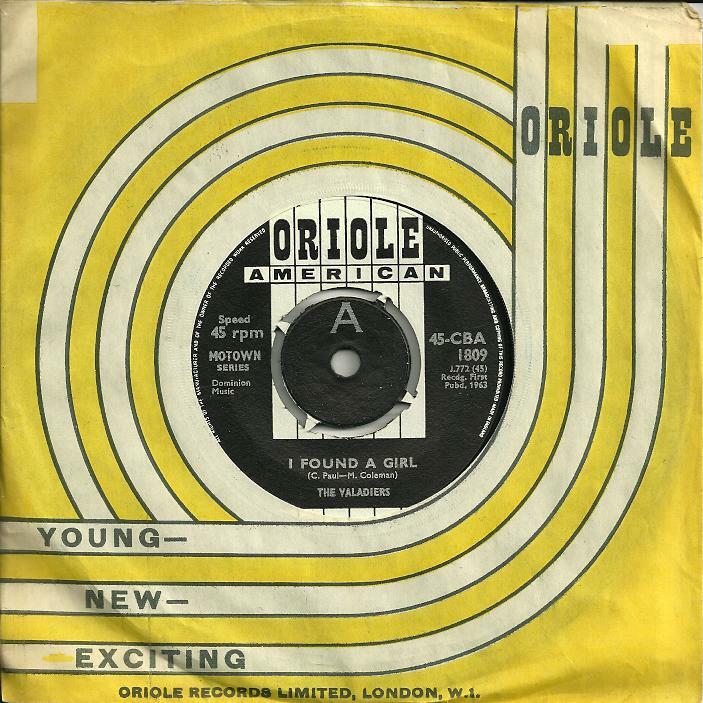 Hard to disagree that ‘I Found A Girl’ certainly sits okay next to some same period releases by The Marvelettes and The Miracles. 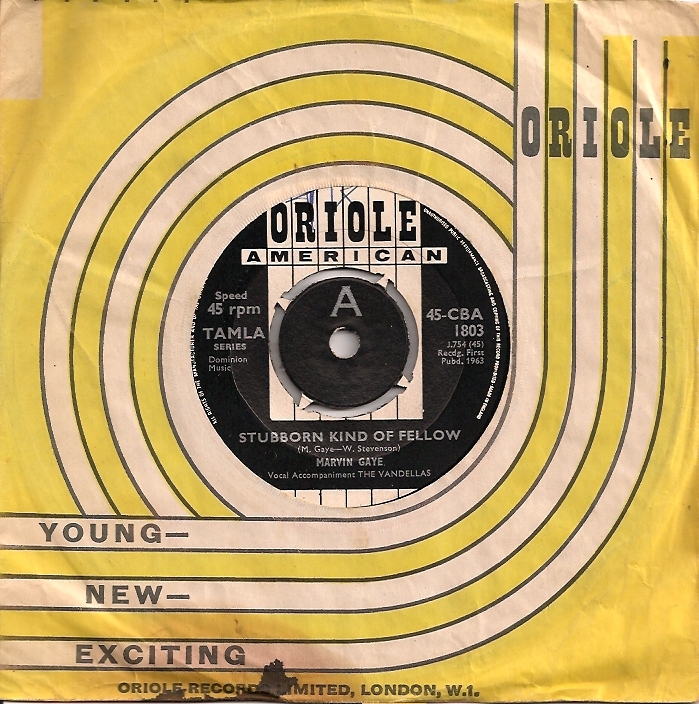 As with those Oriole issued copies and in fact, all nineteen released during their partnership, they are amongst the most valuable English Motown pressings ever. The musical chairs surrounding the often interchanging members of The Contours will have your head spinning if you let it. Some of the guys still perform today, and a family tree type timeline is readily available on Wikipedia. But be forewarned, it’s for the clear headed only and I do commend whoever got all those details together. 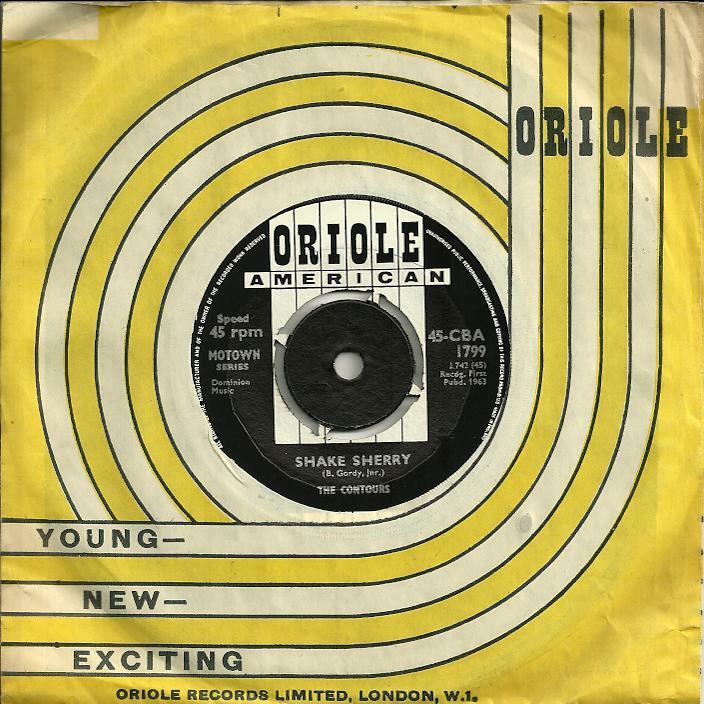 ‘Shake Sherry’, one of the many lyrically intentional dance songs the group recorded, followed up their only Top 10, ‘Do You Love Me’. 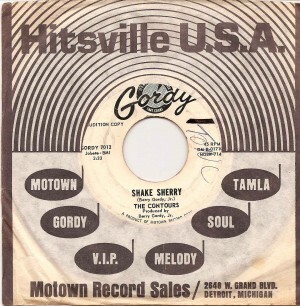 As with the majority of their other 60′s Gordy label releases, it peaked mid chart (#43). 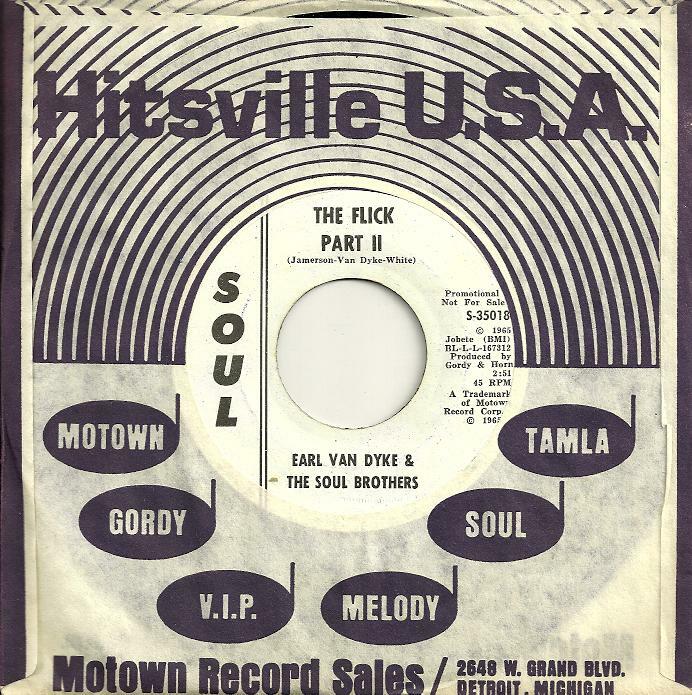 Seemingly in the shadow of The Temptations and The Four Tops, apparently The Contours were the act whose wild live performances on those Motown Revue package tours would truly tear the house down. 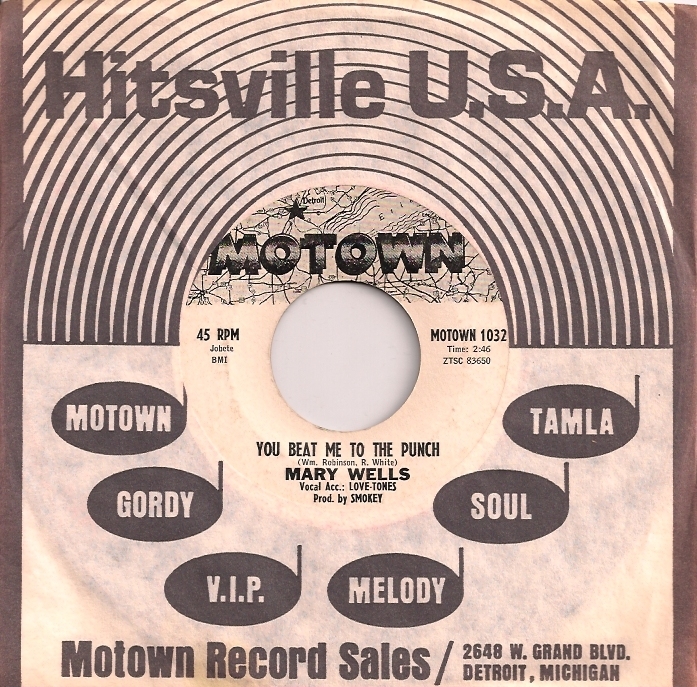 Even despite being written by Berry Gordy himself, and getting a top vocal drill by Billy Gordon, the record just didn’t get the muscle at radio from the Motown machine. Who the hell let that happen? 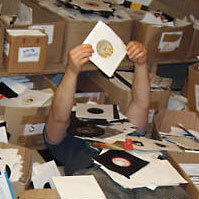 The Contours ended up benefitting from numerous Northern Soul dj’s bringing many of their records justice years later. And in fact, when ‘Do You Love Me’ was used in 1987′s DIRTY DANCING, the re-released single found it’s way back into the US BILLBOARD chart, peaking at #11. As we all know, a very uncommon result in America. 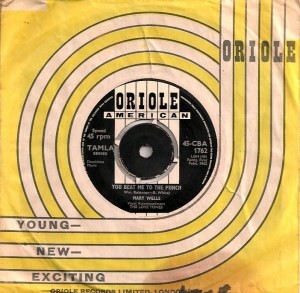 I do think The Beatles cover version on a very early US album turned me on to ‘You Really Got A Hold On Me’. Not one for The Beatles after about two minutes into The Rolling Stones ‘Not Fade Away’ in ’64, it must have been their second album at most. Long gone from my collection, I can’t verify. Never mind – it did the job. 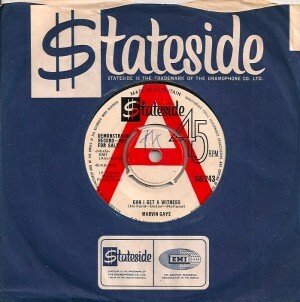 Smokey Robinson & The Miracles, as time would eventually refer to them, indeed made many great singles – it’s virtually impossible to pick a favorite. But this I remember as one of those first times in life. I still feel the exact same wonderment with every listen. It has never gone away and there are very few records I can say that about. 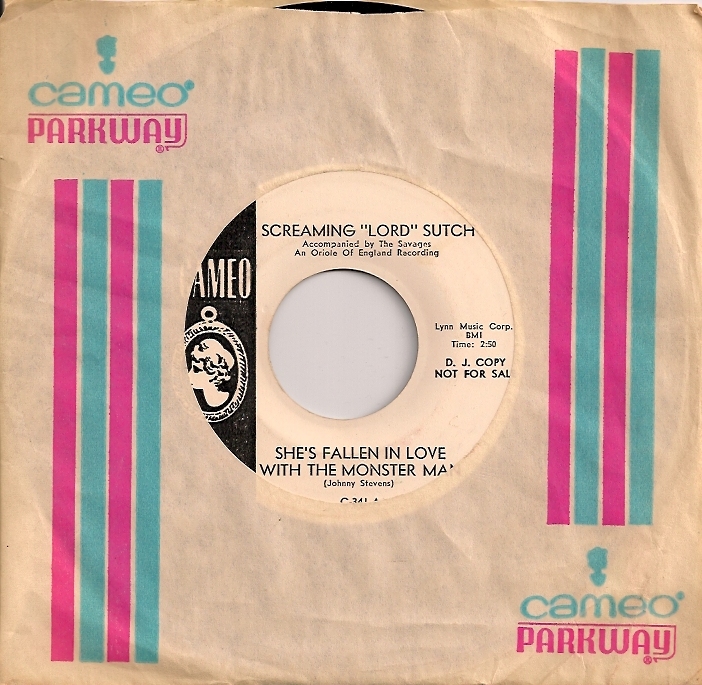 I finally got around to reading the Screaming Lord Sutch feature in the June issue of MOJO. Try to do the same, maybe it’s even online. A few priceless pictures and so many stunning details, I really don’t know where to start. He was everything I already knew and way more as well. Some of the live show descriptions and antics, well we now know where Alice Cooper got more than one idea. Don’t blame him for lifting a few, they’re just too good to waste. Okay, here’s a tiny bit: “cherry food dye, cold scrambled eggs with a few masticated inches of seaside rock and it’ll look like you’re spitting out teeth”. 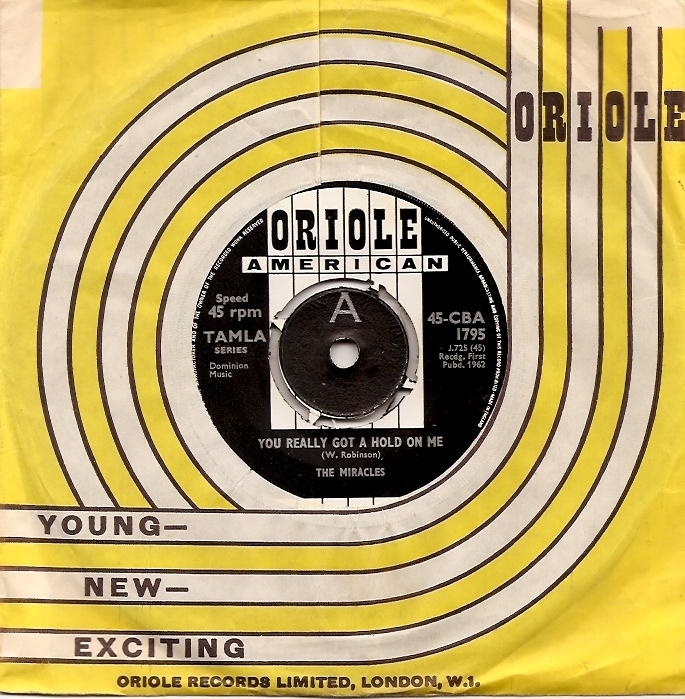 No question about it, his recordings were made very inexpensively, several produced by Joe Meek, complete with dreadful sound effects – and I mean that in a good way. As the ’70′s arrived, more than one act paid respects. 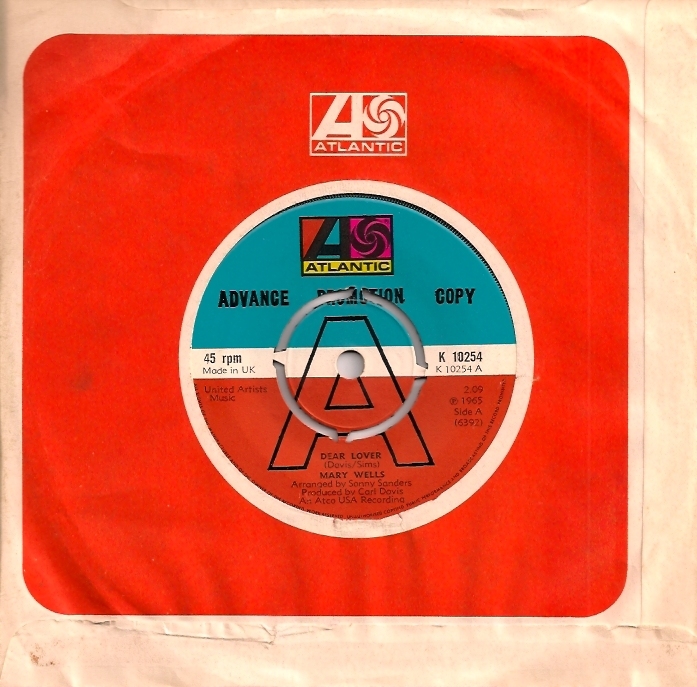 The Crazy World Of Arthur Brown, The Damned and The Revillos even covered and released as their A side as well, ‘She’s Fallen In Love With The Monster Man’. You’d think the song was written just for them listening to the original above. So many soon to be name musicians passed through the ranks of being Savages in the ’61 – ’63 period, prior to their own later successes. The list, also in the article, is long and fairly jaw dropping. 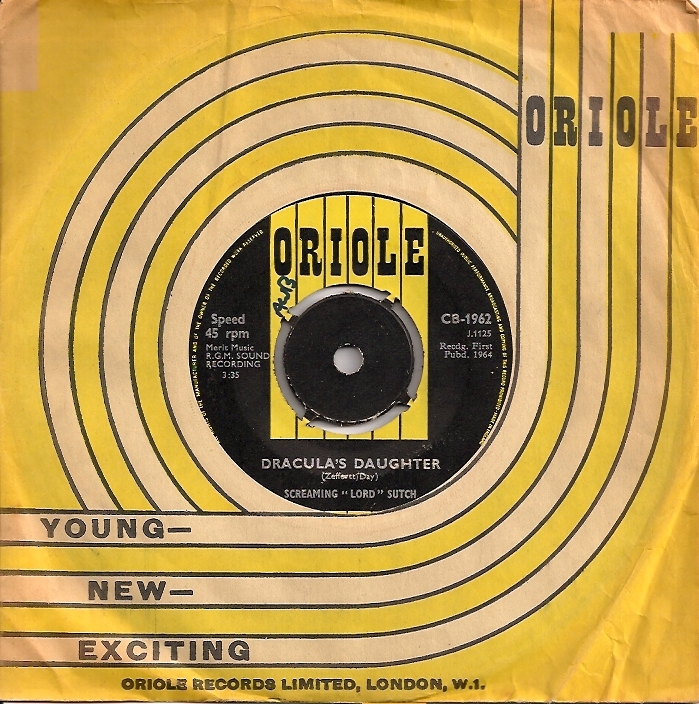 Jimmy Page plays lead on ‘She’s Fallen In Love With The Monster Man’, and Jeff Beck on ‘Dracula’s Daughter’. Even then, in ’64, his style was recognizable and it’s easy to see how much he moulded The Yardbirds’ sound from one listen. The usually precise MOJO does flub one detail. 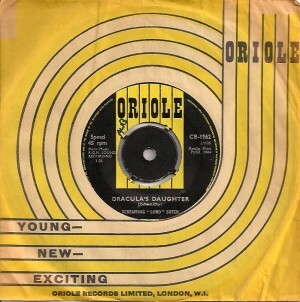 ‘Dracula’s Daughter’ was not his last for Decca, it was his first for Oriole after being dropped by Decca. 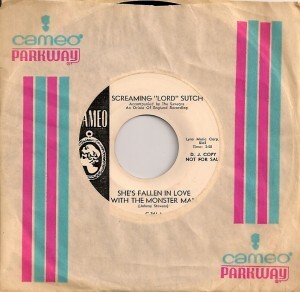 While I’m at it, the above Cameo Parkway 7″ is the only US release from his period with The Savages. 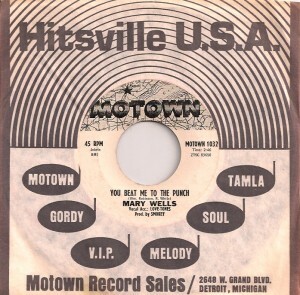 I agree with those who say Mary Wells was the first lady of Motown, well if I turn a blind eye to Brenda Holloway, Kim Weston and Tammi Terrell that is. I guess because she had the biggest pop crossover hit out of the bunch with ‘My Guy’ sort of justifies it. Whatever, she had the voice and the presence. There are some fantastic shots of her on various UK album sleeves, and that blond hair dye job turned brassy orange – I just love it. No question, she and Smokey Robinson were a perfect match and gave her the biggest successes. Same with The Marvelettes. It’s just something about his productions, maybe it’s the drum sound or use of vibes combined with handclaps. Some magic recipe was definitely at work, I never could put my finger on it though. 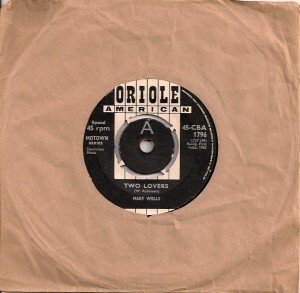 Then there’s the lyrical twist, most prevalent on ‘Two Lovers’. It doesn’t get much more clever than this. What happens at the end of this song again, how does the two lovers thing play out? I forget every time. 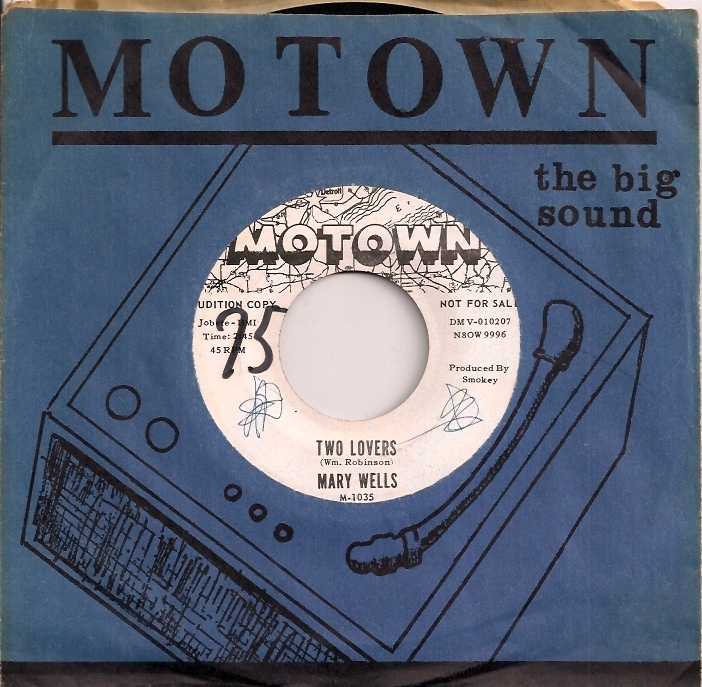 It’s a drag about the royalty issue that drove Mary Wells from Motown. 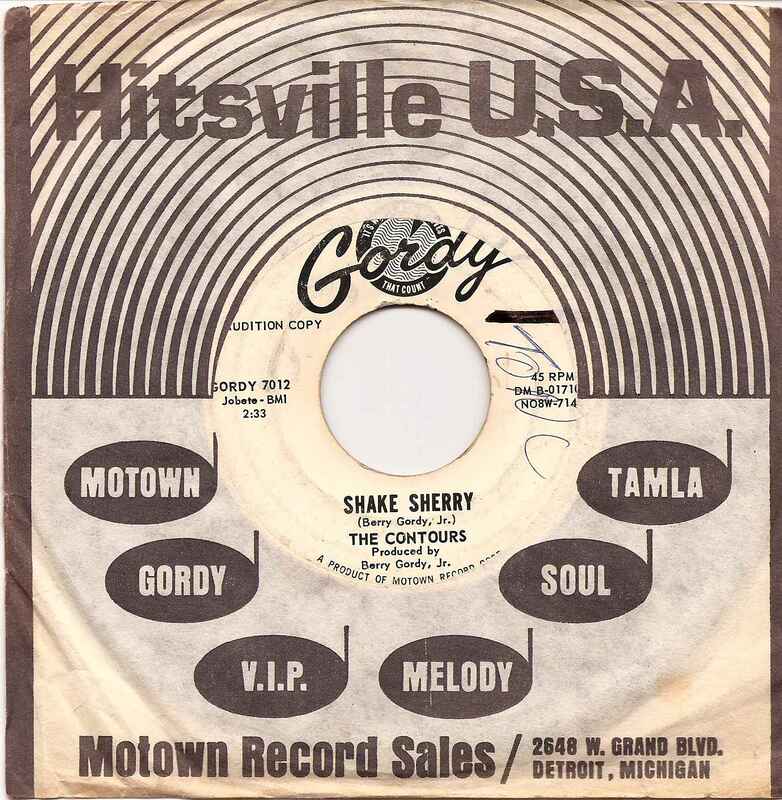 Once burned, it’s sometimes hard for certain folks to move beyond it – by all counts, that summed up her attitude toward Berry Gordy. And so the downward spiral began. 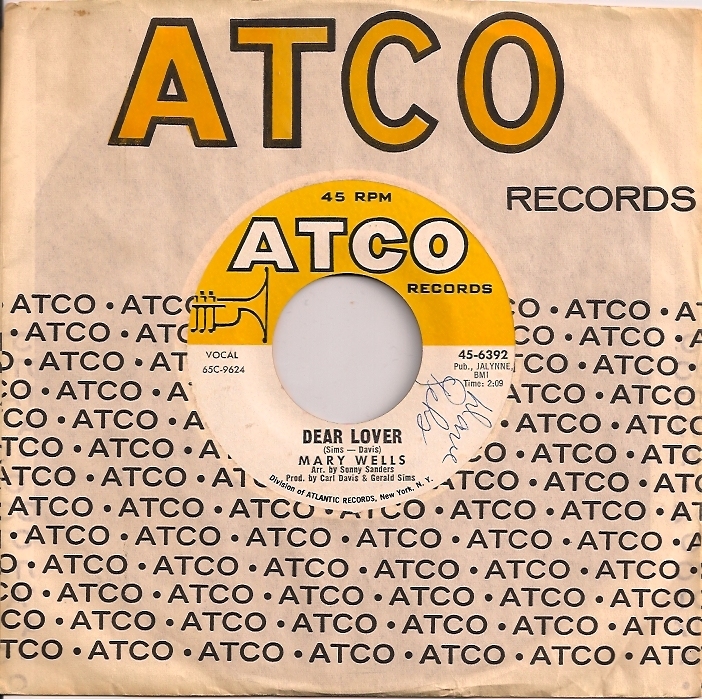 The fact that ‘Dear Lover’ was substandard compared to any of the Smokey songs, in a way, became the appeal. I do love a struggle to polish up something fairly mediocre in the world of singles and follow-ups. I find it rather interesting, the way all parties involved go through the motions, hoping no one else will notice that it’s actually not very good. 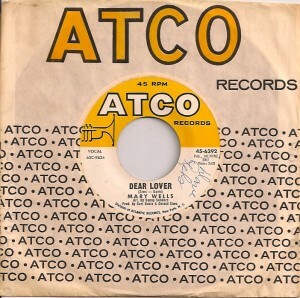 In the case of ‘Dear Lover’, seems producer Carl Davis basically tried copying the Motown sound – unsuccessfully. 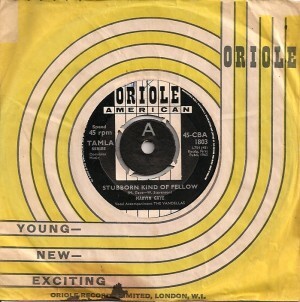 Is that a description of Northern Soul or what? Exactly the whole point of the genre, making substandard copy attempts glorious in their own way. 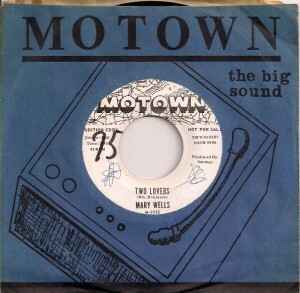 Probably the most Northern of any Mary Wells track, it’s absolutely become a favorite. 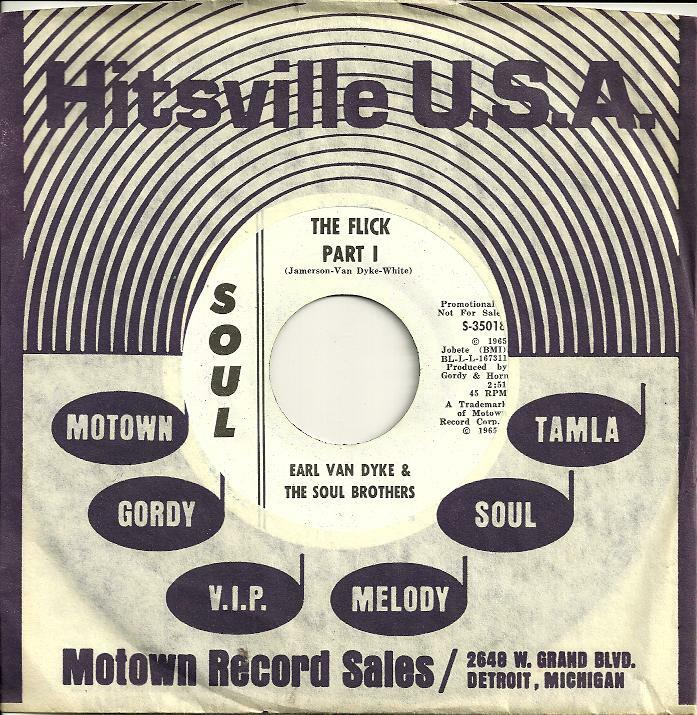 Neck to neck, it’s a real tossup which guy epitomizes the early 60′s mod / soul sound: Smokey Robinson or Marvin Gaye. Funny enough, it’s as strong a debate as you might expect around The Beatles / The Rolling Stones challenge. At least at some of the pubs in North London, where the Tamla guys seem to be fixtures on a Sunday afternoon. I’d never thought about it actually. My barometer was always tuned to what The Rolling Stones were covering, so I’d lean towards Marvin. Not sure why ‘Stubborn Kind Of Fellow’ never seems to show up on comp cd’s or anthologies, not any that I have, given it was his debut UK single and all. 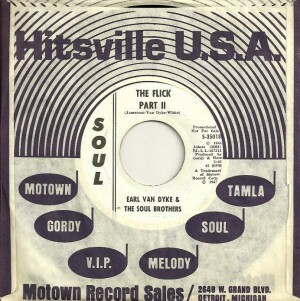 Besides, is there any other Motown based release that credits The Vandellas on the label? This original paced version took some getting used to on first listen way back when. I knew the faster ‘Can I Get A Witness’ from ENGLAND’S NEWEST HIT MAKERS. 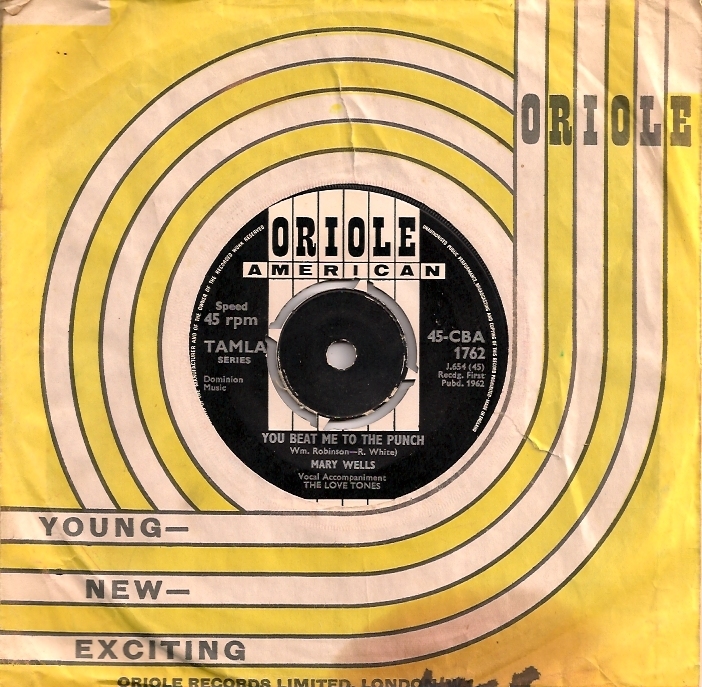 Don’t shoot me, I was far from the only kid in America that got my soul music from the UK bands instead of pop radio, early on that is. Now that faster Rolling Stones take just feels wrong, but hats off to them for introducing American middle class kids to their own culture. It’s pretty dramatic the difference between early and later Marvin Gaye. 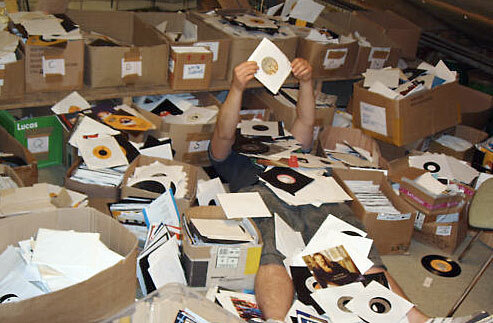 Even more than Stevie Wonder, but way less than say, Underworld. I think they take the cake. Check out that first album. 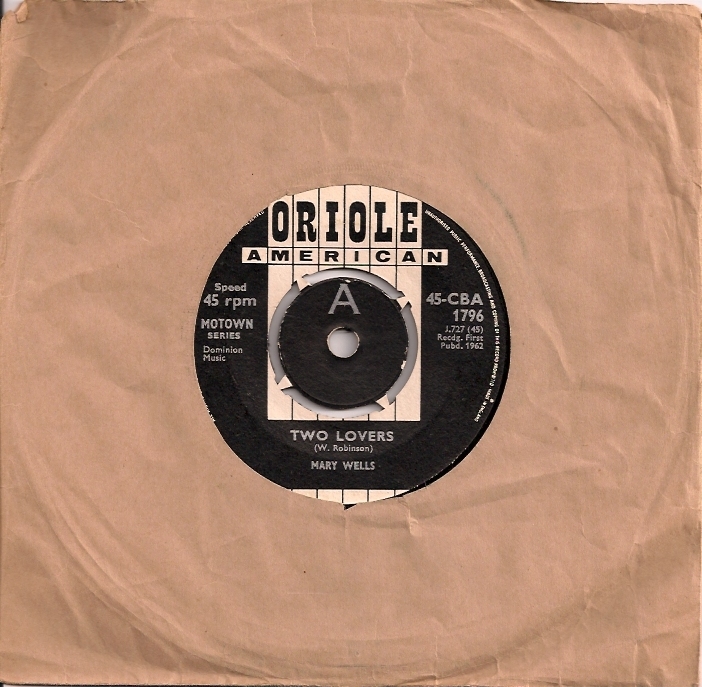 As with both singles above, these mono vinyl pressings possess a sound absolutely no other format can enhance or replace.